I just finished the worksheets for Unit 1 of our Scott Foresman Reading Street series. There are 24 worksheets in all. 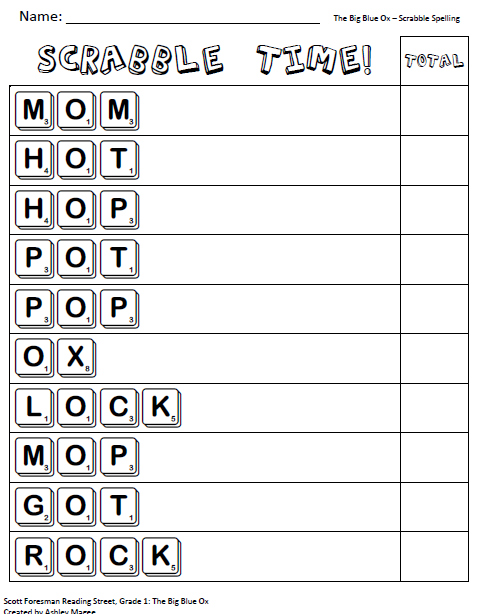 Each of the six stories as four worksheets: Making Words, Rainbow Words, Scrabble Spelling, and a Word Search. 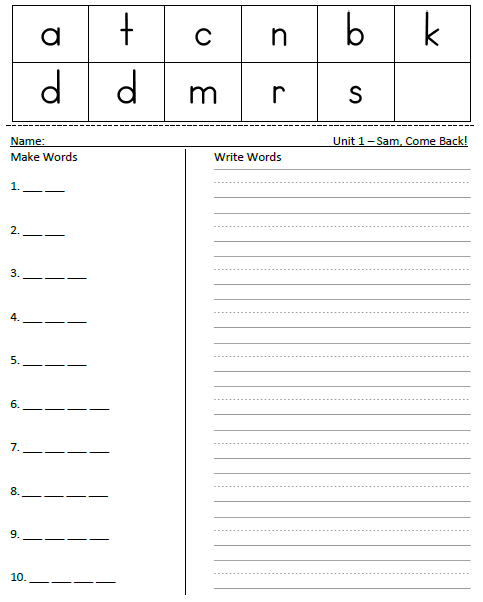 These worksheets can be used as homework, during literacy stations/centers, or as an activity for those early finishers. 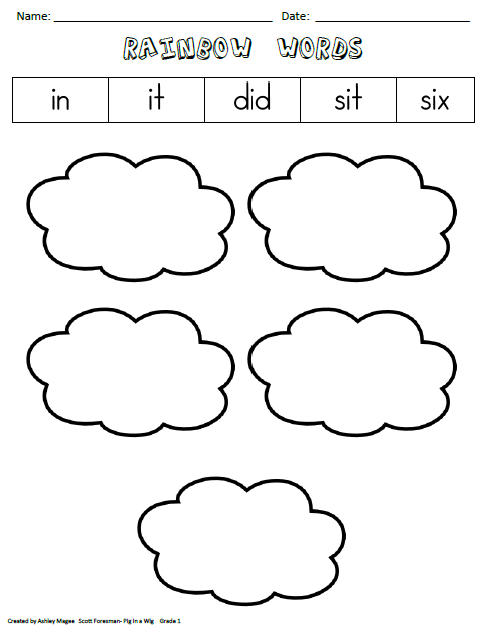 Rainbow Words (2 sided): Students write each of the ten spelling words in a cloud with their pencil. They then trace over the words with three different colored crayons. Scrabble Time: Students tally up the points on each tile by drawing tally marks in the empty space next to the word. Alternatively, students could use counters to determine the total or actual Scrabble tiles to spell the words. Making Words: Have students cut off the letters at the top and cut them apart. Using the answer sheet, call out one word at a time for students to spell. Students write the letters on the lines and then write the whole word on the other side. 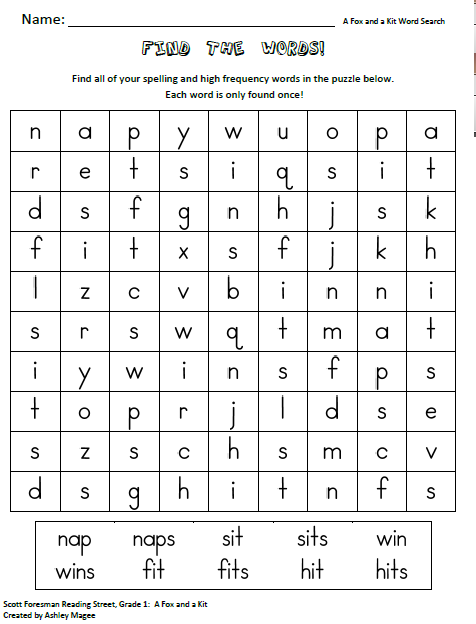 Word Search: Students find the ten hidden spelling words. You can purchase all 24 worksheets plus a directions page for just $2.00 on TeachersPayTeachers! Thank you for all of the spelling worksheets. They are so worth money and will be a great addition to our reading program.